Please visit the new and improved HYPERtext blog at www.text100.com/hypertext. Data Breach Comms: Are You Ready for the Inevitable? This past week, I had the pleasure of participating in a panel on data breach communications at the inaugural SC World Congress, held in NYC at the Jacob Javits Center. I was joined by Rich Baich, principal for security and privacy, Deloitte and Touche, and Dan Kaplan, senior reporter for SC Magazine. For an hour, we talked with audience members from businesses, standards groups and other organizations about best practices in data breach PR. But the most important thing about this panel? That it was on the agenda at all. SC World Congress was billed as “the only dedicated IT security event focused on providing the latest solutions and inside information to help IT & data security professionals do their jobs better.” Naturally, the majority of the sessions focused on topics that you’d expect to be of interest to “IT & data security professionals,” including “PCI: More Data=More Regulation…Finally,” “Global Data Threats,” “IT Security Governance,” and many more along those lines. So when I was approached to participate in a panel at SC World Congress on how to handle communications around a breach, I was thrilled. Thrilled because the inclusion of a PR session at a security event reflects a growing awareness among the security industry that smart, effective comms around a breach is one of the most important considerations when the inevitable happens. It also points to an increasing appreciation for breach comms as a key responsibility of the CSO/CISO. Equally thrilling is that I had the honor of talking about data breach PR with Rich Baich, who had the tough job of being CISO at ChoicePoint in 2005 when it was forced to deal with a well-publicized “incident." Baich weathered that storm nicely and now dedicates a fair amount of time, both in his professional capacity as principal at Deloitte and on the speaking circuit, to sharing best practices with other security professionals to help them deal with similar situations. Dan Kaplan moderated what I thought was a really good, interactive conversation. We touched upon a lot: why breach PR is important, how to prepare for a breach, elements of a breach comms plan, breach notification law, the role of the CISO during this time, etc. As a sidenote, hats off to SC Magazine for putting on a solid event. It seemed like everything was conspiring against the conference, including all of the challenges associated with introducing an event at a time when most conference managers are circling their wagons and scaling back. Add to that an economy that’s all but obliterating travel budgets for attendees and event budgets for exhibitors… and oh, let’s throw in some rainy weather too. But Illena Armstrong and the crew at SC Mag pulled it off. Through some very unscientific polling (over cocktails and post-panel chitchat), I found that exhibitors were pleased with the quality of attendees (C-level, decision-makers), and that attendees enjoyed the breadth and quality of sessions. If you have thoughts on SC World Congress or your own story about breach PR, I invite you to join the discussion. We’d love to hear your thoughts. "Hands in the air like you just don’t care”, for all those people who look 40-odd but still act 20...A shout out too for all those ageless people who think a Gen Y attitude goes a long way. Aren’t they the ones having more fun, telling employers where to get off and hopping on to the next employer with more cash in their pocket and a flash new title? I recently spoke at a Sydney HR conference on things Gen Y; namely how to attract and retain the young at heart. Whilst a lot has been said on the topic and with our own company being very Gen Y, the ground was familiar but strangely moving underneath me. For those who don’t know our history, the short version goes like this. Two PR youngsters saw a gap in the IT market and jumped in, setting up an office above a pub and over the next 25 years the company grew up to become one of the world’s top PR players. We guesstimate that 80% of our staff is Gen Y. So dealing with Gen Y issues is not new to us. 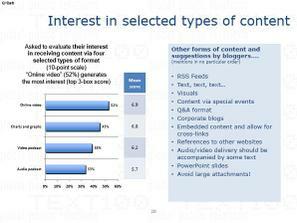 We also were one of the pack leaders in understanding the impact of new media on business life. It is hard to understand Gen Y if you don’t understand new media, the broad range of technologies and services that enable people to source content, publish, build communities and work collaboratively online. You know, the facebook and twitter time that Gen Y cannot live without. Then the earth moved. Along came the financial downturn. Now we need to think about what it means for this generation. We are certainly seeing the entry level jobs becoming harder to score and noise that the heat in the market is cooling. Jobs are becoming something of value again and our restless Gen Y folk may have to stay in one place a while longer. What does all this mean for a generation that has grown up as the most privileged, networked and self entitled that we have experienced? I suspect it means we will see a softening but not a total rewiring of Gen Y DNA. The roots of this generation are strong and whilst tougher times may open eyes, I don’t reckon it will entirely change the way those eyes view the world. Could be wrong? So that means that much of what we know about how to get inside the head of this generation and communicate with them remains valid. In our communications work with clients, the core of our business, we talk a lot about peer media and the need for businesses to realise that all of this social networking and online living is not going away and they need to be part of the conversation. Businesses ignore it at their peril, and the same is true for us HR folk. We too need to know how to tap into this generation online, how to utilise new media in recruitment and how to respect and harness their online lives at work. Your use of this new media, down to whether your CEO has an interesting blog combined with how you engage in CSR work, will influence your pull factor with this crowd. It may also give you the competitive edge. Utilising social networks like LinkedIn are also low cost, attractive in tough financial times. Sometimes I think we are breeding blogs at Text 100, but if that is the way people want to talk to each other now, then you would be wise to become part of the conversation. You have to be prepared to be genuine though as your Gen Yer spots the corporate hogwash a mile off and will quickly switch off. You also can’t talk at them, you have to talk with them, keep it visual and learn the lingo of those strange acronyms they use. Above all, these folks want to have fun, learn new skills and work for companies who make a difference in the world (but still allow them to have a life). So what’s in it for you? If you get it right, you get employees who blend their work and home lives, ones with better IT skills than you, employees with networks to the world who are not daunted by any problem. After all their next stop is CEO...and who doesn’t want employees with the kind of big goals and dreams that keep us all on our toes? Perhaps there is a little bit of Gen Y in all of us, they give the rest of us a good excuse to remain young at heart. Forget the face lift, when you embrace new media – what matters most is your willingness to learn new skills and utilise new tools in your working life. Gabrielle is responsible for developing Text 100’s people. In her global role she is focused on the company’s talent and skill development to ensure clients are provided with industry leading counsel. As a member of the company’s Global HR team, her experience includes recruitment, people management and training and development. Gabrielle is a former PR consultant who is passionate about helping unlock consulting skills and abilities within the company. 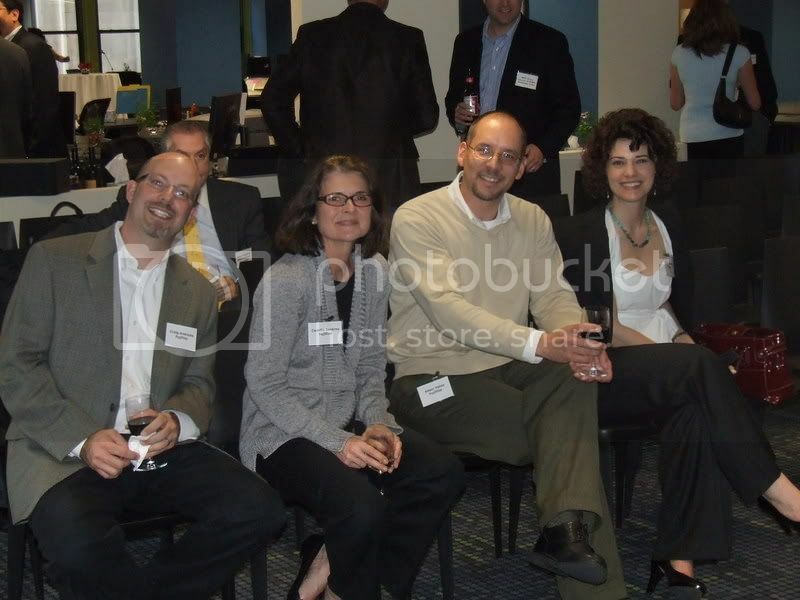 Text 100’s PR team has won many awards for its excellence in consulting. Gabrielle has over 20 years in the PR industry, with nearly half of that time spent with Text 100. She has also worked in London PR and her home country of New Zealand. Before moving into a HR role with Text 100, she was the Managing Consultant of the NZ office. Her previous PR roles include in-house communications roles and consumer PR firms including another major global PR firm. Gabrielle holds a Bachelor of Arts in English and Politics and a post-graduate Diploma in Journalism. She has also undertaken many continuing education courses in communications and participated in internal training. The stylish team of Text 100 Japan celebrated its ten year anniversary this week. In the usual style of any successful Text 100 party, our fearless CEO was at the centre of the festivities. The party gathered at the very cool Villa de Marraiges restaurant in the cetre of Tokyo and over 50 guests included clients, media, bloggers, industry peers and of course our 'girl power' staff members. Our long-standing client Mr. Suzuki from IBM was there to congratulate the team on a decade of milestones, while Aedhmar provided insight into the changes that have occurred in teh PR industry over the last 10 years and discussed how Text 100 Japan has become a key contributor to the ongoing success of the Text 100 family. To complete the presentations, Mr. Tokuriki, a prominent Japanese blogger, discussed the local blogosphere. A fabulous night was had by all and many of our clients can't wait until our next party! 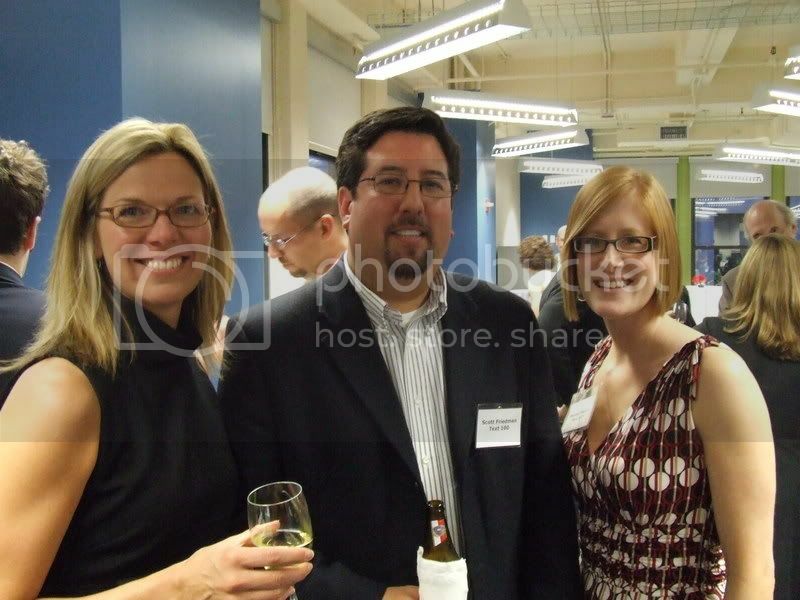 View photos from the event in the photo album in the sidebar. Corporate blogging is a challenge, and one that many organizations are facing right now. They're trying to figure out who to talk to, what to say and how to say it in an authentic way. At most conferences addressing corporate social media, you'll hear the same two or three case studies and see the same couple of statistics. But at some point, it's time to stop talking about the theory of blogging and to start actually participating! Tomorrow, the International Association of Business Communicators (IABC) is hosting a webinar where I will be presenting on, "The Corporate Blog: 10 Community Building Tips." I encourage you to sign up! Here's a podcast with Neville Hobson where I discuss the topics that will be covered and why we need to pay as much attention to the corporate blog as we do to places like Twitter and FriendFeed. If you're not able to participate, please feel free to leave a comment with any questions about corporate blogging and I'll try to address them here in a future post. 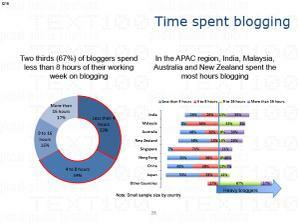 We’ve just announced the results of a survey of more than 125 bloggers across eight Asia Pacific countries. And while I’m a great believer in Chris Anderson’s first rule of the blogosphere, paraphrased as “…don't generalize about the blogosphere.” I’m afraid I’ll have to do a little generalizing when looking at the results. First up, it is clear that APAC bloggers want to hear from PR people. This comes as a great relief for those of us actively engaging with bloggers across Asian countries. 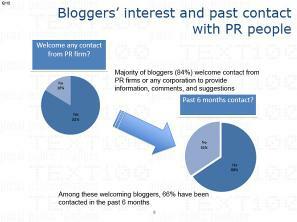 But it also presents a great challenge, as the survey went on to point out that we (the PR industry) seem unable to consistently give the bloggers what they want. 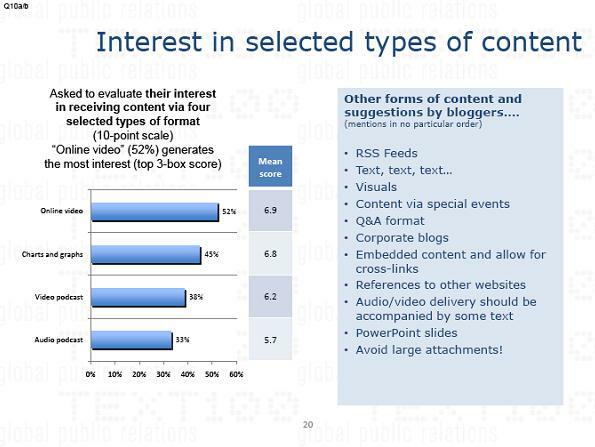 While, for example, 52% of the sample pool wanted online video, and 48% wanted charts and graphs, it appears that, instead, bloggers have been spammed with traditional press materials and other unsuitable documents. Comments on content included: “Those who contact me should not be lost in their own jargon” and “What they talk about should be relevant to my blog”. This is commonsense but it seems PR agencies in Asia are breaking some of the cardinal rules of communication by simply not taking the time to understand their audiences. Another interesting finding was that bloggers were happy to hear from anyone representing a company, as long as it was the person closest to the story. In particular, they wanted to hear from active bloggers or those prominent in the blogger community. This got me thinking about the Asian 'spokesperson of the future'. This person may not be the managing director or product manager who has traditionally spoken with mainstream media. My advice to Asian companies looking to engage with this increasingly influential audience is to determine who's already blogging within their businesses and groom these active participants to become active company representatives. PR folks should also consider that most Asian bloggers are part-timers, with 67% of bloggers spending fewer thatn eight hours of each working week blogging. Knowing this, it is critical for Asia Pacific PR people to plan activities outside of normal working hours. Invitations to traditional midday press conferences will likely go unanswered while also running the risk of being posted on as worst practice PR examples. The single biggest finding was, in essence, something I hope we already knew. It is critical for PR people to know their audiences, know what they are interested in, offer them unique information, and know how they like to be engaged with. Shareholder Meetings in Second Life? 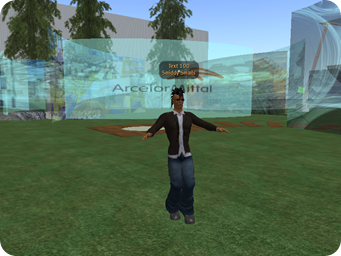 An article in the Wall Street Journal reported that ArcelorMittal, one of the world’s largest steel makers, hosted its shareholder meeting in the virtual world of Second Life this week. The goal, according to the article, was to attract, “a younger generation of investors.” I suspect the actual goal was to generate media coverage around an event that traditionally receives little to no attention. And to that end, I guess it worked. Participating in a virtual community, whether we’re talking about blogs, social networks or virtual worlds, requires that we ask many of the same questions we ask when developing a more traditional PR plan, such as determining the audience and objectives. The results, though, can’t be measured with a print or broadcast story. They are seen over time, as new relationships are forged with online communities and conversations are ignited that would otherwise never happen. My guess is that ArcelorMittal wanted to do something “totally unique,” and in this case, might have tried to run before they were walking. The shareholder meeting was yesterday, and I haven’t found one reference to it in the blogosphere or anywhere else online. No mention on the virtual world or financial blogs. No Flickr photos from the event. No follow-up communications from the company. No Twitter references. Did the participants learn something about our company or our culture that they couldn’t have found elsewhere? Were we able to interact with our audience and discover things about them that we weren’t able to do by other means? Are we now part of conversations that would otherwise have excluded us, and are these conversations that we want to be a part of? Was the return appropriate to the size of our investment, both in time and budget? This post isn’t intended to bash ArcelorMittal’s efforts, but to help other companies considering similar events to think strategically about how they approach peer media rather than just jumping on the bandwagon. I hope someone from the company reads this post and responds - not to prove me wrong or to defend themselves - but simply to participate in a conversation that they started. 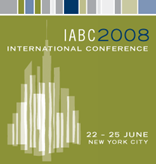 I’m excited to be leading a pre-conference workshop on social media next Sunday at the International Association of Business Communicator’s (IABC) International Conference here in New York. Organizers are expecting over 1,500 communications professionals from all over the world, and they’ve assembled a terrific lineup of sessions and speakers to ensure participants get their money’s worth. I’m particularly excited about the General Session on Monday, where hotel scion Bill Marriott will be the guest speaker. His blog, “Marriott on the Move,” is often cited as one of the best large enterprise CEO blogs. It will be interesting to hear more about his experience as a C-suite blogger and how it fits in to the company’s larger communications strategy..
My session is one of several that will focus on social media communications. Shel Holtz will lead a session addressing the role of social networks and Ryan Williams will review the results of an IABC member survey on their use of social media. If you’d like to follow (or join) the conversation, I’ve set up a Twitter profile for the event, which we’ll use as part of my workshop to help attendees begin building their own community. There are some other informal meet-ups planned for communicators in New York to gather informally. I’ll post them here (and on Twitter) as details emerge. 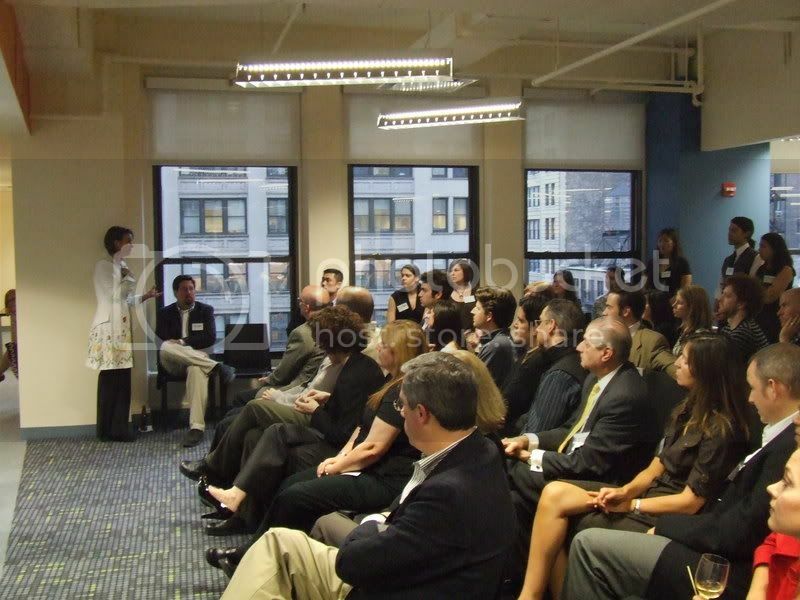 Last Wednesday, was the grand opening party for the brand new NYC office digs on swanky Park Ave. South. With almost 100 attendees, including media (PR Week, eWeek and PRNewser) current and future clients and Texties from all around North America, the main event was a huge success! Aedhmar's presentation, The Future of Communications, engaged the audience with questions from reporters and a very flattering comment from IBM about how Text 100 New York's story is one of rags to riches - despite starting off in squalor at its first office, there has been one common denominator: bright, creative minds! Technology PR consultants offer views on the way the world embraces, challenges and champions emerging and mainstream technologies. 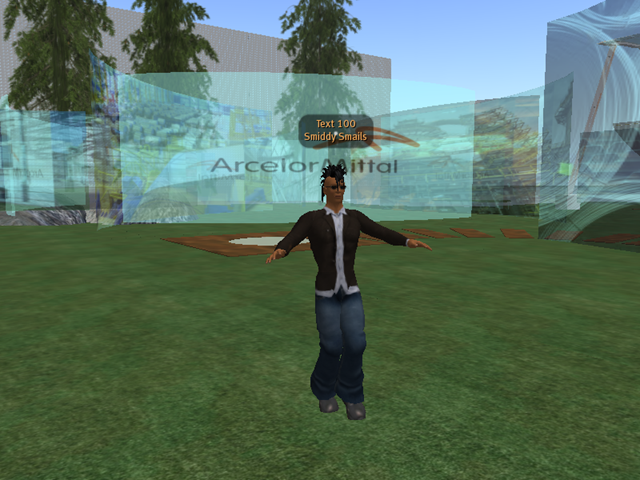 On Shareholder Meetings in Second Life?